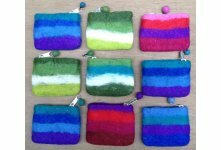 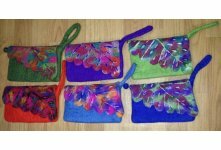 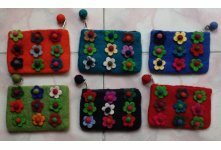 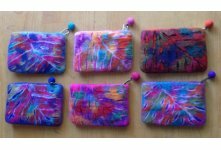 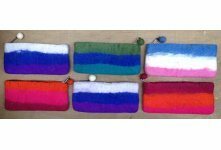 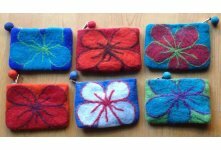 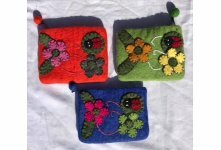 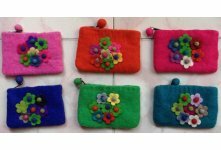 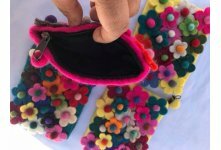 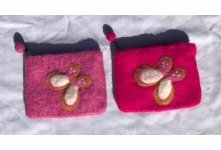 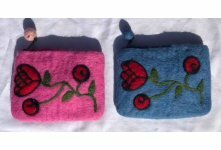 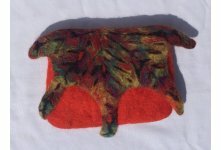 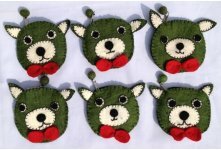 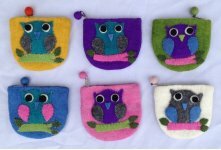 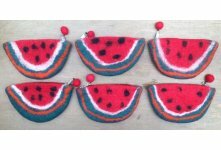 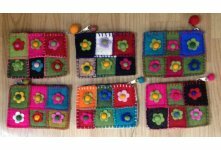 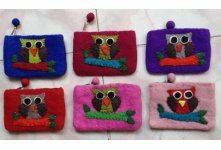 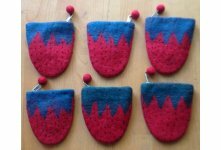 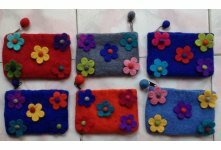 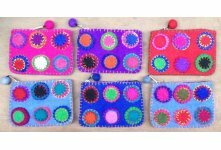 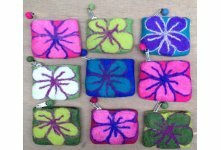 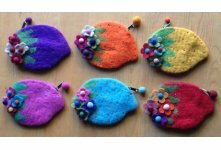 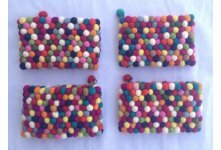 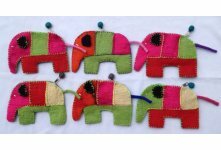 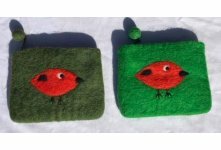 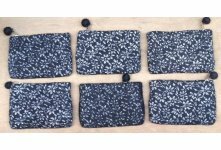 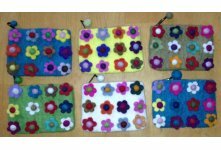 This felt cutting coin purse is handmade in Nepal by skilled women. 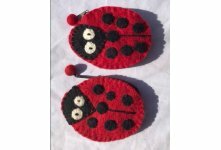 Made from sheep wool imported from Nea Zealand, inside lined, with a zipper closure. 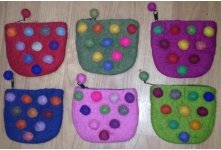 This design purse is a perfect catch-all for your needles, notions and coins. 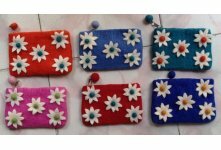 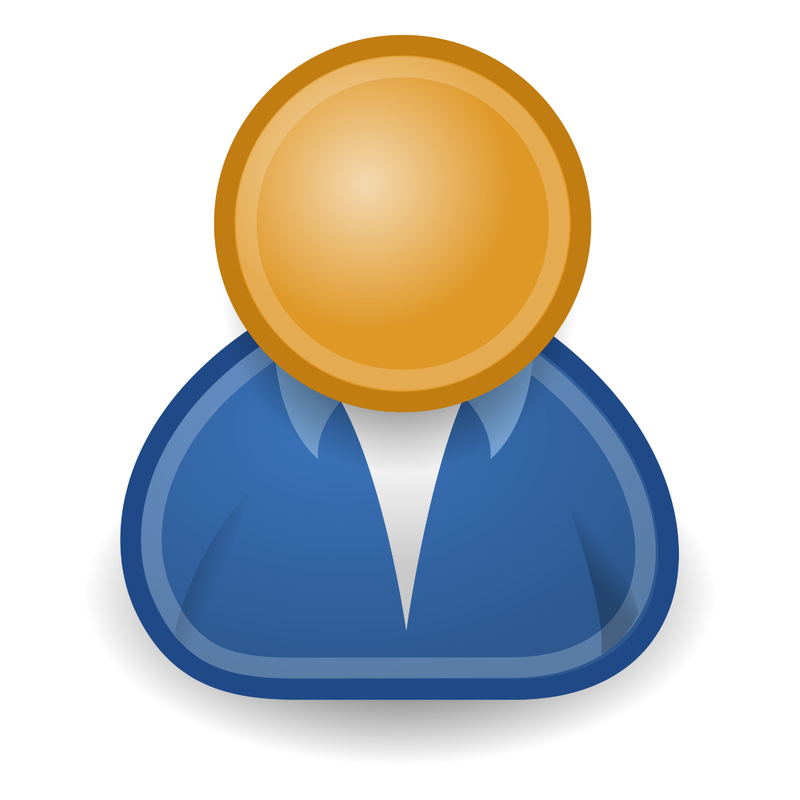 It is available in your own color. 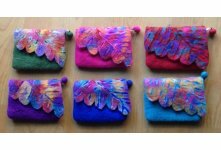 If you want another size please conatct us.